Any questions? Comments? I’m here to help! 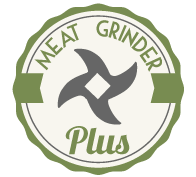 Whatever you want to know about meat gridners, it’s a topic I love to discuss, and I’m happy to talk about. Get in touch with me by using the contact form on this page, and I’ll respond as quickly as I can. Thanks so much for visiting, looking forward to hearing from you!